KIM sorting of the remaining 303 till samples is ongoing. 1Previously reported in North Arrow news releases dated November 13, 2018 and October 17, 2017. 2ML8 (Upper) samples collected at surface as float and/or subcrop. The ML8 (Lower) sample is comprised of 24.15 kg of drill core collected from kimberlite intervals encountered in drill hole 18-ML-03 between 85.84 and 96.55m downhole. This interval contains intermixed coherent kimberlite, cracked country rock and country rock and is interpreted as distinct from the near vertical coherent kimberlite dyke ML8 (Upper) discovered at surface in 2017 and also intercepted in drill hole 18-ML-03 at 59.37m downhole. The 79.48 kg composite sample is part of approximately 208 kg of subcrop and float collected from kimberlite ML8 (Upper) during the summer 2018 exploration program. Details on the 2018 field program, including kimberlite drill intercepts, can be found in North Arrow news release dated September 24th, 2018. 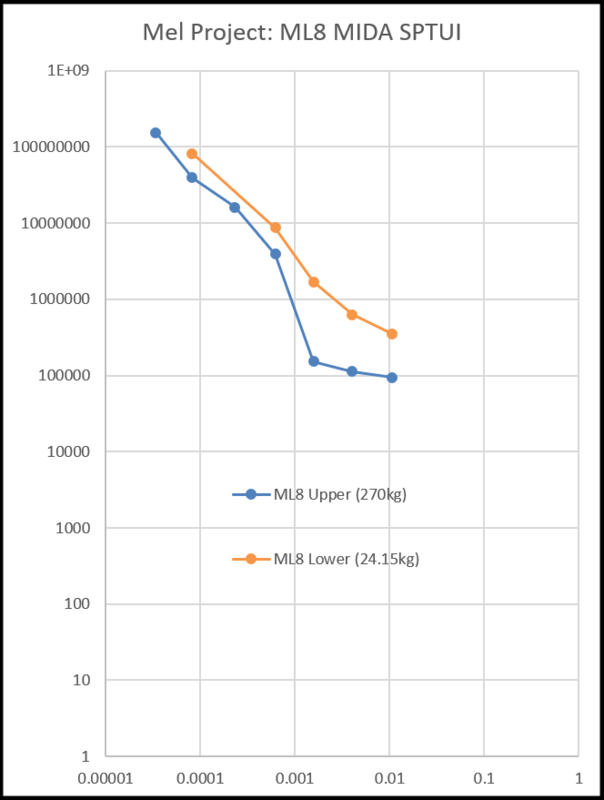 Diagrams comparing the microdiamond results from, and the relative positions of, ML8 (Upper) and ML8 (Lower) have been posted to North Arrow’s website. North Arrow is also pleased to report that preliminary visual picking results have been received for 144 of 447 till samples collected during the 2018 field program. The nominal field weight for the samples was 10 kg and 78 of the 144 samples have returned between 1 and 7 KIMs, including picroilmenite and less common pyrope and eclogitic garnet and chromite. Selected indicator minerals from these samples have been submitted for microprobe confirmation and visual sorting of the remaining 303 samples is ongoing. Initial interpretation of these preliminary results highlights a broad target area of anomalous KIMs within the central portion of the property, to the south of kimberlites ML8 (Upper), ML8 (Lower) and ML345 and north of a previously defined cluster of anomalous KIM results in the southern part of the property. Results from the remaining till samples are expected in the next six weeks and will be important for defining additional priority target areas within the Project. The Mel exploration camp, established during 2018, remains in place to support follow up 2019 exploration including additional till sampling, geophysical surveys and renewed exploration drilling. Diamond and till sample results reported in this news release are based on work completed by Microlithics Laboratories, Thunder Bay, Ontario, I&M Morrison Geological, Delta, British Columbia, and Saskatchewan Research Council, Saskatoon, Saskatchewan. All three are independent mineral process and sorting laboratories. Quality assurance protocols, security and actual operating procedures for the processing, transport and recovery of diamonds conform to industry standard Chain of Custody provisions. As part of North Arrow's ongoing QA/QC programs, concentrate residues and other materials are subject to audit. Any significant changes to recovered diamond contents will be reported when available. The Mel Diamond Project field program is managed by and under the supervision of, Michael MacMorran, P.Geo. (NU/NWT), Project Geologist for North Arrow. The Company’s diamond exploration programs are conducted under the direction of Kenneth Armstrong, P.Geo. (ON), President and CEO of North Arrow and a Qualified Person under NI 43-101. Mr. MacMorran and Mr. Armstrong have reviewed the contents of this press release. North Arrow is a Canadian based exploration company focused on the identification and evaluation of diamond exploration opportunities in Canada. North Arrow’s management, board of directors and advisors have significant successful experience in the global diamond industry. 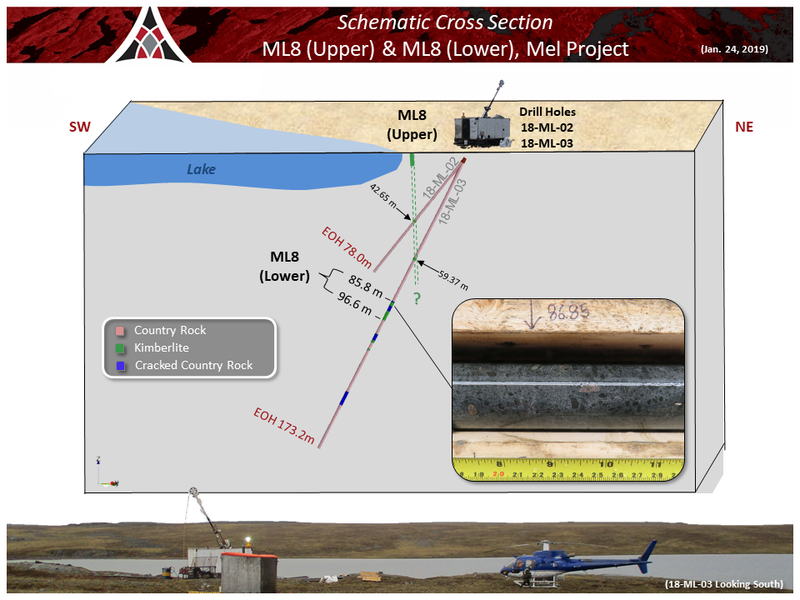 North Arrow has discovered and is evaluating kimberlite fields at the Mel (NU) and Pikoo (SK) Projects, is evaluating KIM supported targets at the Loki Project (NWT) and has exposure to discovery drilling at the LDG JV Project (NWT) with partner Dominion Diamonds. The Company’s most advanced diamond project is the large, well located Q1-4 diamond deposit at the Naujaat Project (NU). The Company also maintains a 100% interest in the Hope Bay Oro Gold Project (NU), located approximately 3 km north of TMAC Resources’ Doris Gold Mine.